It has been exactly two weeks since the last day of the Maryland Film Festival. I have needed this time to recover from travel/time zone differences, working as a tech checker for the festival, and trying to show my boyfriend the amazingness of Baltimore. We got little sleep and drank lots of coffee–things of which I am very sensitive to–but it was all worth it! 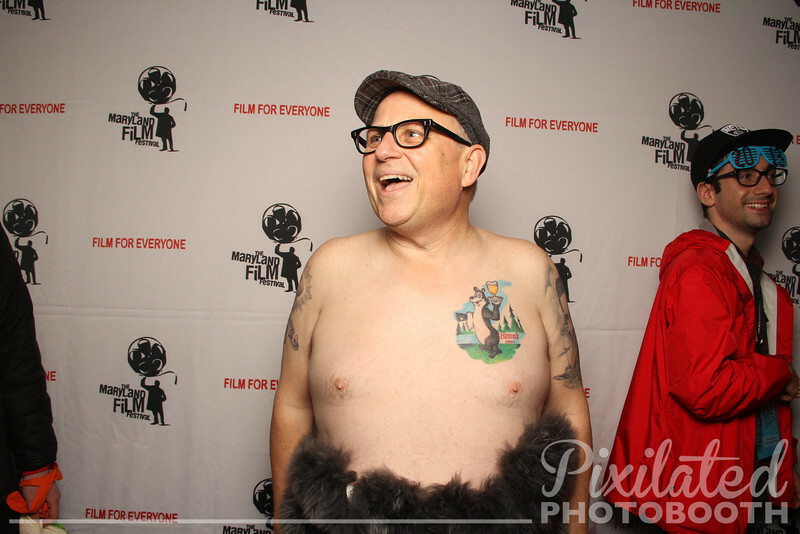 I had quality time with lots of friends and colleagues, met new ones, saw lots of movies, and tipsily gave Bobcat Goldthwait some MarMIA postcards. Naturally all of these movies and fantastic people enjoying them made me wonder how Maryland archival films could fit into this type of event. After seeing HIT AND STAY and I AM DIVINE, two documentaries with topics linked to the Old Line State, I noticed that reuse of archival footage is the easiest and best way. Not everyone is as interested in “old movies” as I am, so I don’t want to throw an audience off the deep end into an hour and half of silent orphan films. But at the same time, I believe that moving images and recorded sounds offer unique perspectives, knowledge and ways of thinking that are important in remembering a community and culture, and that it should be accessible to all and maybe even shoved down their throats in small, easily digestible doses. I love this trailer for HIT AND STAY! Look at all the archival footage, and it gives me goosebumps at the end. Historical documentaries are great for this, and then there are other types of reuse. One other way was seen at the Maryland Film Festival, particularly in the experimental short film THE RANCHER. Filmmaker Kelly Sears used footage of President Lyndon B. Johnson from the Texas Archive of the Moving Image (TAMI) in the organization’s call to “Mess with Texas” through reuse of their collections. It is less a historical documentary about a former POTUS and more of an interpretation of a man’s internal anguish and subconscious. TAMI (Texas Archive of the Moving Image) also has other initiatives for bringing archival footage to the people, like Teach Texas, which aids teachers in using TAMI footage in K-12 classrooms. TAMI is amazing and I like to think of it as MarMIA’s bigger sister: we are totally going to borrow her favorite jacket and shoes and act like they belong to us. All because we want to be just like them! Only in Maryland. Please reach out to me if you have any other ideas for sharing and reusing Maryland moving images and recorded sounds: all perspectives are welcome!